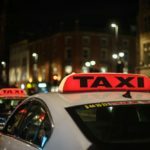 A new guide to cutting emissions from taxis and private hire vehicles has been published to provide support to local authorities and operators. A free workshop, to be held in Birmingham on January 14, will introduce the guide and allow participants to learn from specialists and practitioners in the area. With many local authorities working on the details of plans to meet challenging targets for cutting pollution, the Low Carbon Vehicle Partnership (LowCVP) and Energy Saving Trust (EST) have jointly published a new guide to low emission taxis which aims to help policymakers and stakeholders tackle an important source of the problem. The Low Emission Taxi Guide is designed for local authorities aiming to reduce road transport emissions. The free guide provides advice on implementing best practice policy measures, initiatives and incentives to accelerate the take-up of clean and low carbon taxis and private hire vehicles to help local authorities comply with legal air quality standards. It includes details of the latest low emission vehicle technologies and fuels, plus policy case studies and an overview of the national measures in place to reduce road transport emissions. The guide is also intended to help taxi and private hire vehicle drivers who may be required to switch to low emission vehicles to operate in an area. As well as providing information on the options for new purchases, the guide also provides information on the retrofit options available for converting existing vehicles. It will also help operators to understand and comply with licensing policies and other local policy initiatives aimed at improving air quality. There are over 290,000 licenced taxi and private hire vehicles across England and Wales and 23,000 in Scotland, so encouraging the switch to new low emission alternatives for these types of vehicles within our city centres is an important part of plans to tackle poor air quality as well as to cut greenhouse gas emissions in line with climate change targets. 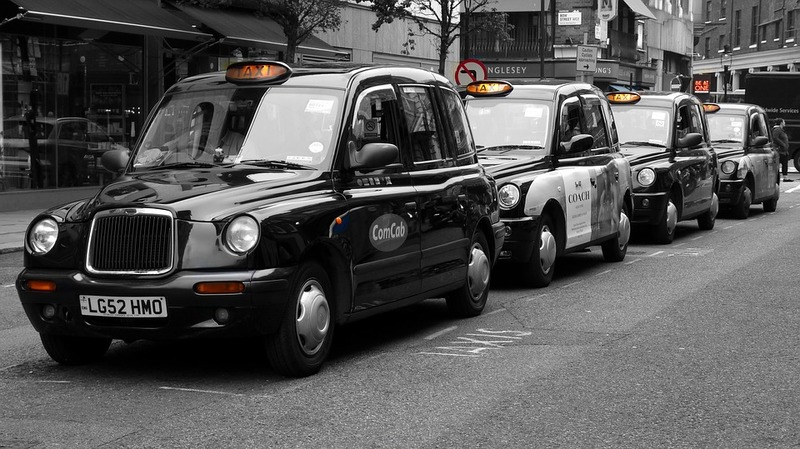 The average traditional black cab in the UK is now 12 years old and the higher emissions these older vehicles produce is coming under ever greater scrutiny from authorities and licensing bodies. As well as providing an overview of the current structure of the taxi and private hire vehicle market and its impact on local pollution, the Low Emission Taxi Guide also provides a clear overview of the current national and local policy picture, including the Government’s recently published ‘Road to Zero’ strategy and the imminent introduction of the Ultra-low Emission Zone (ULEZ) in London. The guide provides best practice guidance for local authorities in this space, including the key elements to consider before making any policy changes. There are local policy case-studies and a ‘menu’ of potential local policy measures and initiatives, plus guidance on the installation of local recharging networks for electric vehicles. It also provides information of the range of low emission technologies now available to taxi and private hire vehicle operators including: battery electric; extended range and plug-in hybrid; hydrogen; liquefied petroleum gas (lpg) and cleaner diesel and petrol variants. 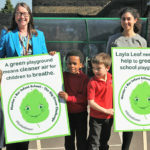 Gloria Esposito, LowCVP’s Head of Projects, said: “Our current fleet of ageing taxis and private hire vehicles risks holding back the efforts to improve air quality. “Accelerating the introduction of low emission taxis is a great opportunity to help clean up urban air, particularly in congested high traffic areas, while supporting innovative UK industries. This guide complements our low emission bus and van guides and is designed to help local authorities and drivers understand the best ways to make this change happen. The Low Emission Taxi guide can be downloaded (for free) here. To introduce the guide to local authorities and operator associations, the Low Carbon Vehicle Partnership is organising a Low Emission Taxi Workshop, 14 Jan 2019 (10:00 – 13:45), hosted by Birmingham City Council, to outline the range of low emission taxi technologies and fuels as well as to provide guidance on the provision of electric vehicle charging infrastructure. 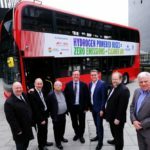 Speakers include representatives from Nottingham, Birmingham, Leeds, Brighton and Hove Councils, plus the Office for Low Emission Vehicles (OLEV), LowCVP and CENEX. The workshop is free to delegates. To book a ticket, visit their website.